One of the fun perks of my job is getting to go out for meetings over breakfast. 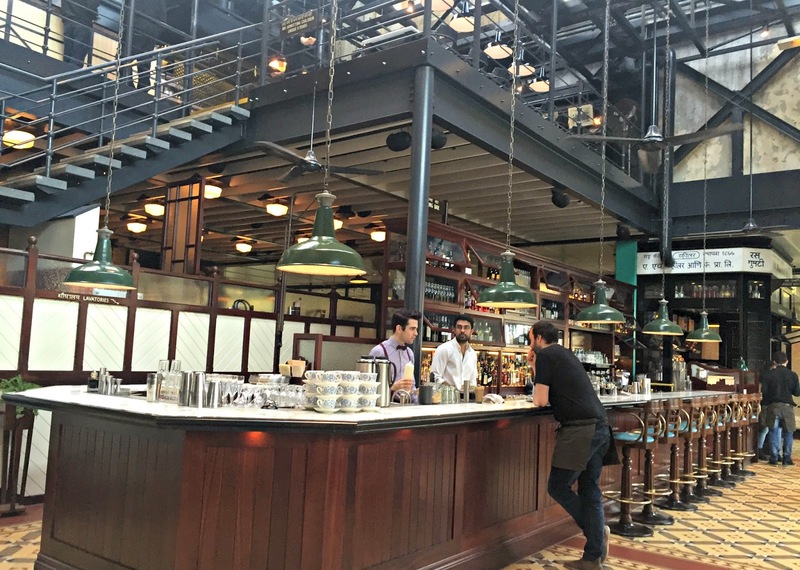 I’ve been to some amazing places through my work so when my client recently requested we held our meeting at Dishoom I was overjoyed! 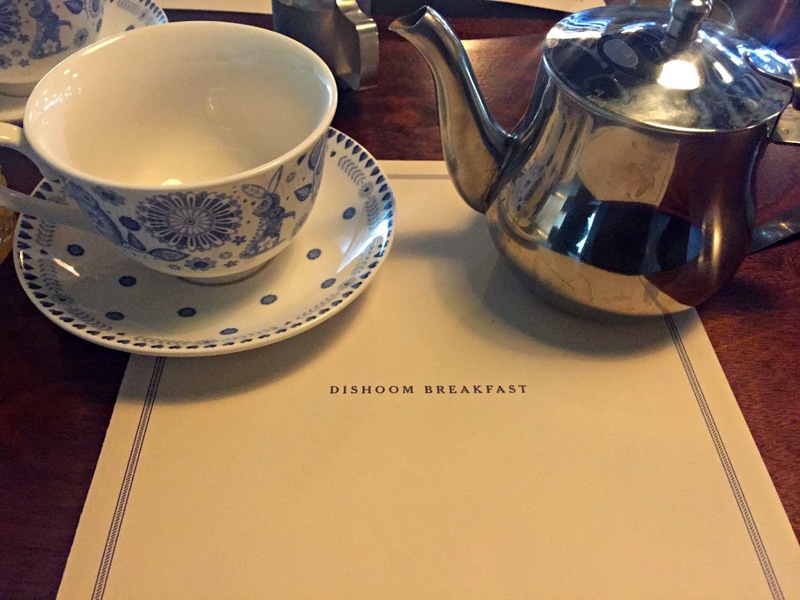 I’ve been to Dishoom for dinner, but it’s long been on my to-go list for breakfast! 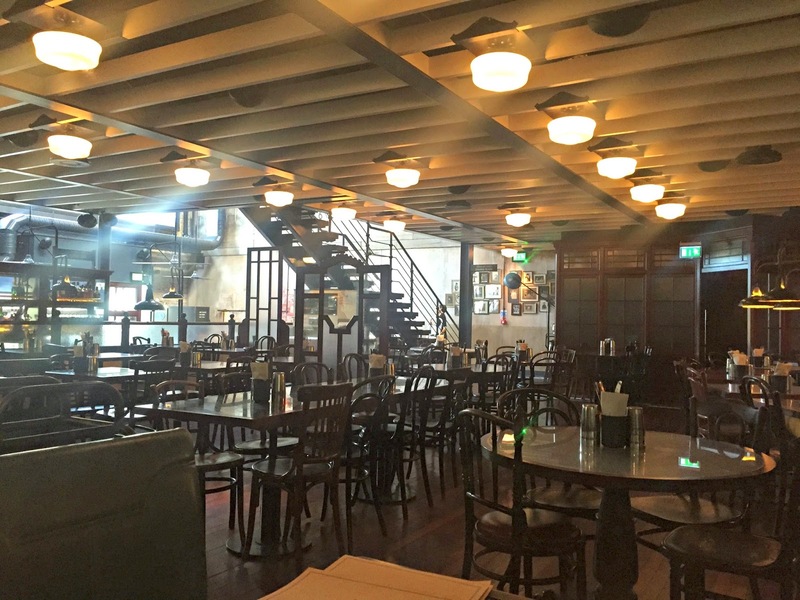 For those of you not familiar with the Dishoom, it's a restaurant styled in homage to the Irani street food cafés which make up Bombay. There's three across London (Covent Garden, Shoreditch and Kings X), for this meeting, I went to the Kings Cross branch. The building itself is beautiful and one of the largest in London. 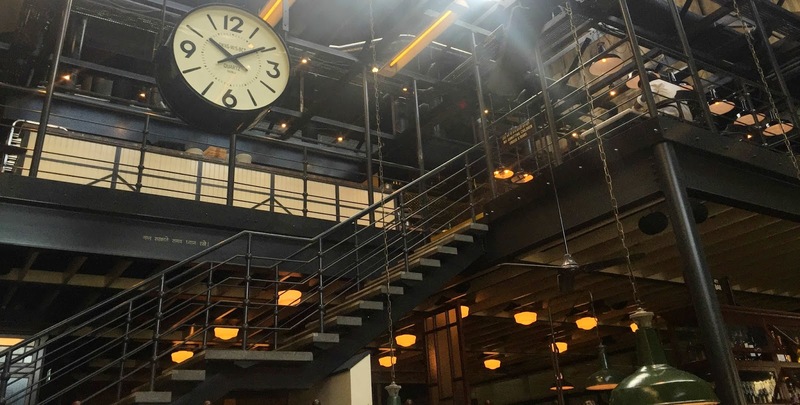 In what used to be a transit shed, the restaurant has been built to include cobble floor from the original stables with exposed wrought iron beams and high ceilings. 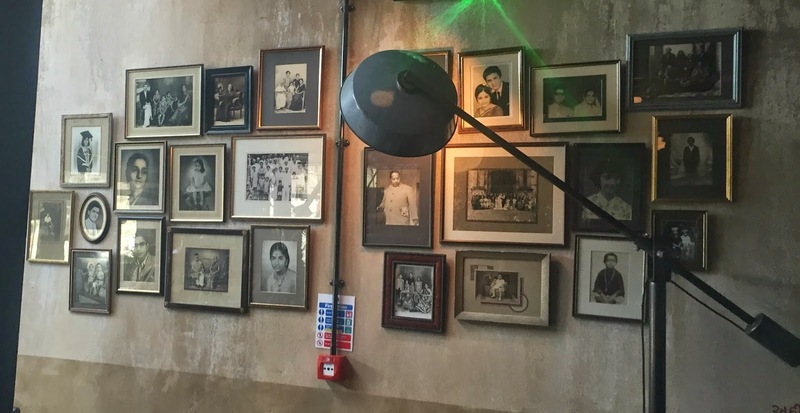 Black and white photos and memorabilia adorn the walls much the style of its now trademark style. The food was outrageously good. 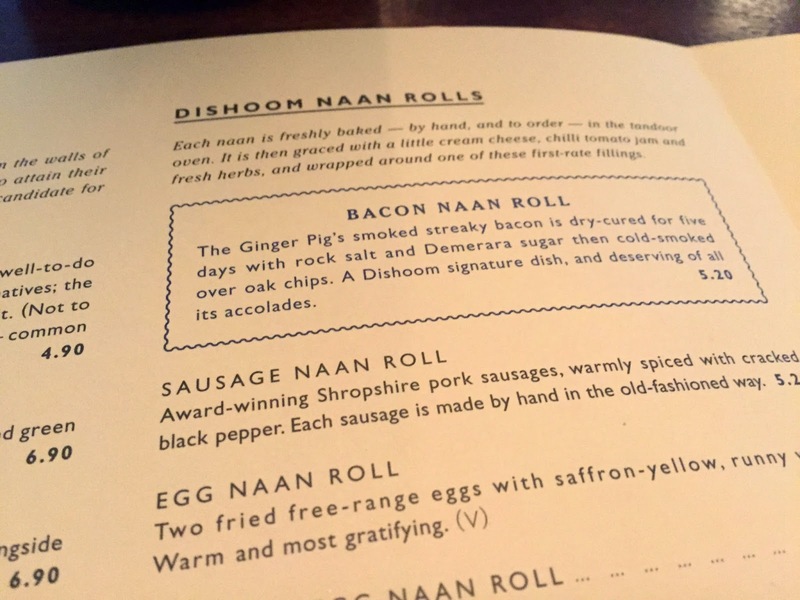 There was only ever one dish for me - the bacon naan roll. I'd heard great things about it and it did not disappoint! 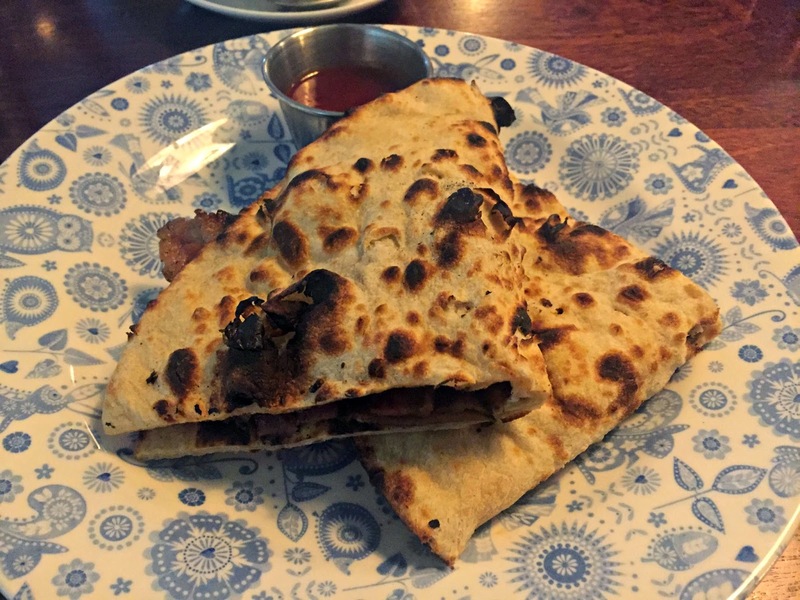 The bacon was spot on for me – I like my bacon erring on the rubbery side but with a slight crisp – and the naan was soft, fluffy yet slightly charred. All this coupled with the sweet and tangy chilli jam made me one very happy customer! 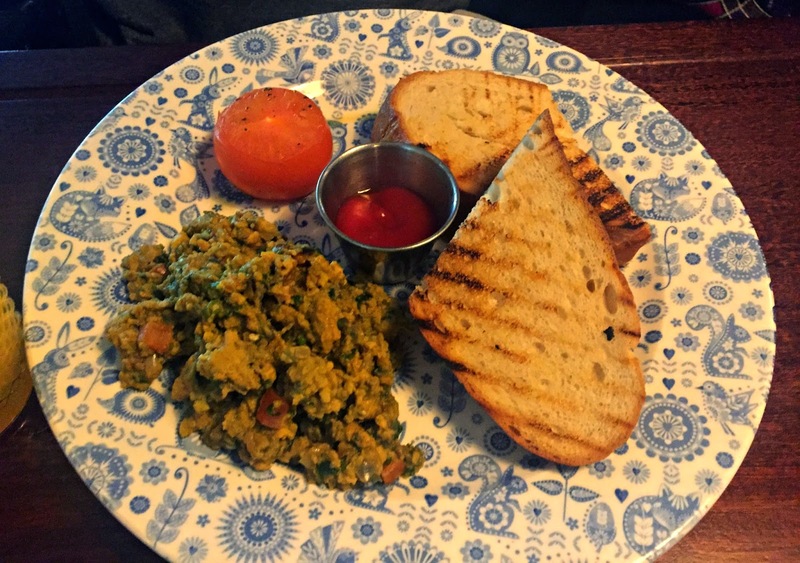 Other dishes on the menu include akuri - spicy scrambled eggs and kerjriwal - fried eggs on chilli toast. 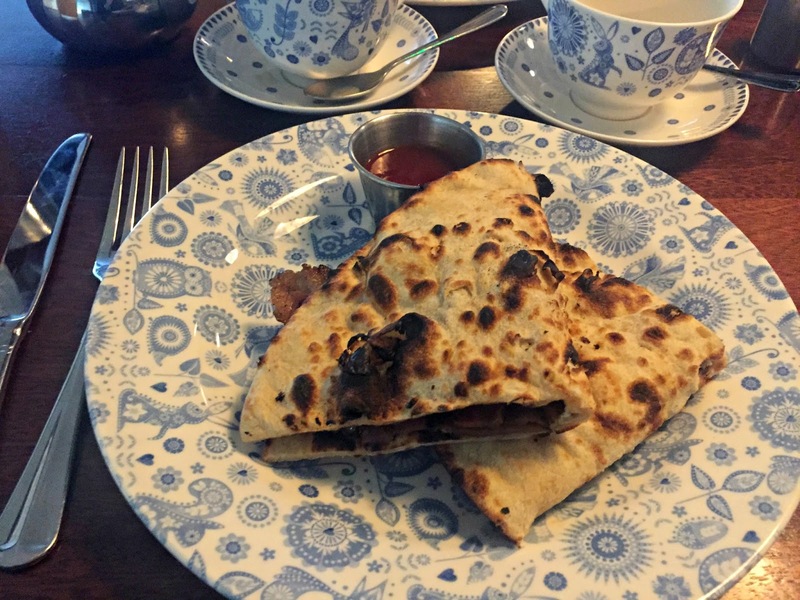 Both, i'm told, are delicious but nothing comes close to that bacon naan!